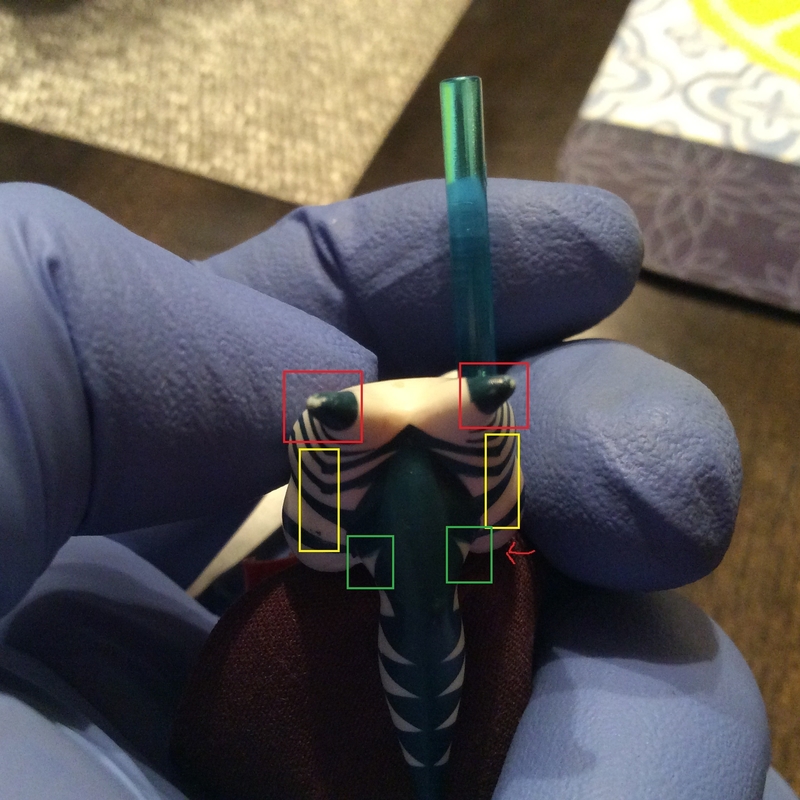 I was interested in people's thoughts on the difficulty of finding a superb condition Lego Shaak Ti minifigure with a nice clean print (Referring namely to the headdress). 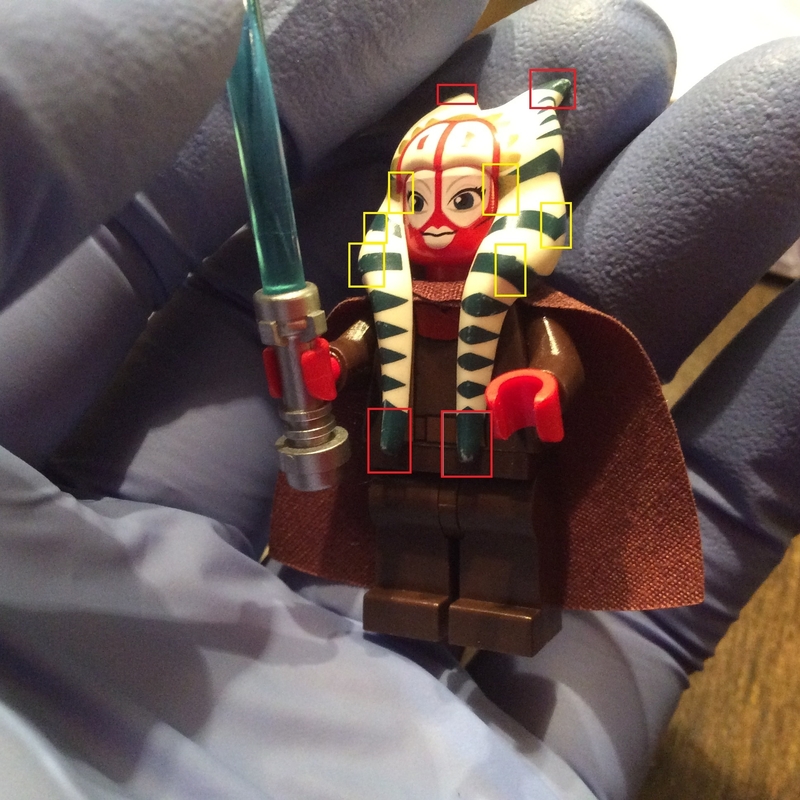 Has anyone has seen a Shaak Ti minifigure that was graded (By the AFA ect.)? 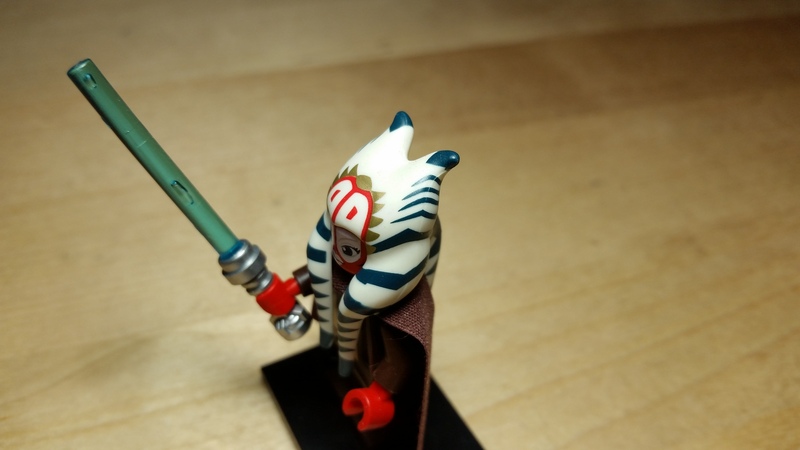 If so what is the highest grade Shaak Ti minifigure you have seen? 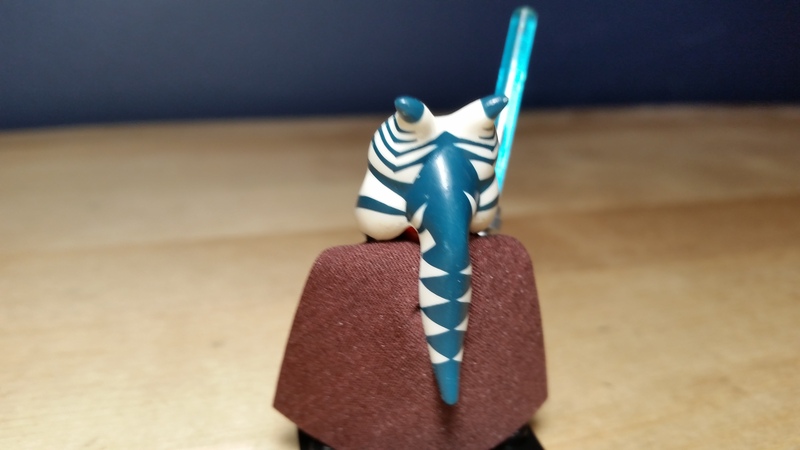 In my search for the perfect Shaak Ti, I have only been able to find two really good condition ones and am now the proud owner of one with a near perfect print (It is truly a sight to behold). I would be curious to see some of the things people have found out regarding print variations and which ones look better from the front, sides, back, and overall. 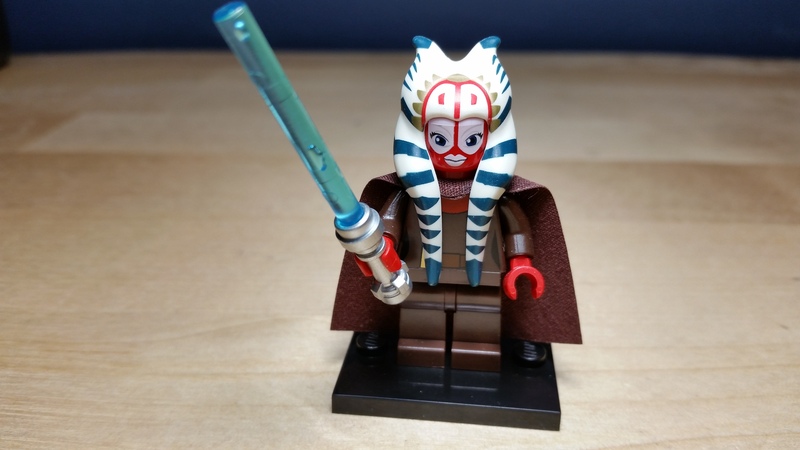 Lastly, does anyone know where LEGO manufactured the Shaak ti headdress as condition issues are so rampant I am starting to consider collecting good condition figures simply for their preservation. Thanks for your interest in this rather odd topic and I look forward to your comments below. I appreciate any comments and discussions that sprout from this topic and look forward to everyone's opinion, also please share photos of the best condition Shaak Ti figures you have seen or that you own. In close, if anyone is interested in photos of the different prints and various pros and cons of ones I have encountered just ask and I will try to provide what information I can. Yes, I think pictures would be helpful. I think I have one at home and will look when I get there. I'm curious now. Ah, but is a Shaak Ti with a smudged print not worth more? Why would the headdress being made in China explain the condition issues? Condition (concerning scratching / print issues) of parts like this made in China is (and was at the time) usually very good. I also thought all parts like this made in China were bagged. Parts being individually bagged was a clear sign they were Chinese made (at least at the time, I don't know now). To be fair I am relatively sure that the part wasn't bagged (I watched some unbox/build videos in slow motion) so if it was made in China the parts not having been bagged would explain some of the condition issues (Scratching during transport). Also, let's be fair in saying that although TLGs operations in China output higher quality items than their counterparts (Other plastic brick production in China.) it is a lot more common for parts to have issues than TLGs facilities in other countries. Now I don't think the part was made in China, but my statement was mainly trying to address the condition issues (I will try to find some good pictures.) and provide a reasonable explanation for the quantity of Shaak Ti headdresses with problems that you see. I will admit that the two most likely explanations for how common the damage is are that the part was not in a bag and parts scratched them during transport, or simply that they were not able to stand up to play although if that were the case I would expect to see more good condition ones from adult collectors with ones that are listed as new. I am mostly referring to damage to the print as opposed to a smudged print (I will try to find/take some photos to better explain the issues.). Although I was quite pleased to acquire an astromech with a smudged print that I might be able to sell. I still need to verify that it was an issue at printing and not just a flaw caused by play, but it looks promising. Yeah, I would be interested to see what condition your figure is in (Along with a description of how it has been handled eg. displayed, played with, ect.). I will start looking through the internet for some good photos of the print variations I have seen and some of the condition issues. I would also like to say that I just found a review that said the headpiece came in a bag so I am now especially curious as to why the condition issues are so prevalent. I'd be highly suprised if it came from China and didn't come in its own bag. Every part like that I can think of, be it Dobby's head or the Anubis guard head, headgear for Atlantis, etc. all came in bags. Also, let's be fair in saying that although TLGs operations in China output higher quality items than their counterparts (Other plastic brick production in China.) it is a lot more common for parts to have issues than TLGs facilities in other countries. In the original post you say "please support your claims" yet you don't support this claim. I don't believe it is more common for parts made in China to "have issues" than parts made elsewhere. These sorts of parts are not made elsewhere, so you are not comparing like with like. Some people don't like the different feel of the Chinese plastic (and some do), but that is not a print quality issue. Occassionally mistakes are made and low quality pieces do escape, but these are rare. I imagine the print is easier to damage on that headgear because the print is on a softer rubber-like plastic rather than ABS. If you cannot discount playwear, then it sounds like you have been buying used figures or parts. Have you tried asking a BL seller of a new figure (or the headgear part) if the headgear is new and still bagged? That will ensure you get a factory fresh part. All of my Star Wars figs are from new boxes. Unique ones are built, put on a CFMF baseplate, and placed in my enclosed display case. They're essentially as good as new. I'm not really seeing anything that stands out enough on this headpiece to seem like a problem, or see anything about its imperfections that's significantly different relative to the average figure, so I'm not sure I understand what you are talking about. At least, without your pictorial examples to accompany your description. It would appear I have fallen victim to that fetid beast known as personal bias, sorry for letting that influence the discussion. Although I am mostly against the manufacturing of Lego in China due to its status as a premium product and my fear that they will start manufacturing more and more parts in China with lower and lower levels of quality control resulting in the ultimate loss of the quality they are known for. Wow I just checked my Shaak Ti and I never realized how scuffed up the 'hair' piece is. I havent been able to display it and just noticed it is really damaged. Prada manufactures some of their luxury items in China. Thanks for the photos of your used (Display condition item) drdesignz, I have been wanting to see if the issues I have been seeing would be visible on a display item. This is the poor condition figure I acquired from a cheap 7931 I purchased off of eBay that got me interested in the various common issues with the Shaak Ti headdress. The yellow squares are areas where I have found print fidelity issues to be woefully common. 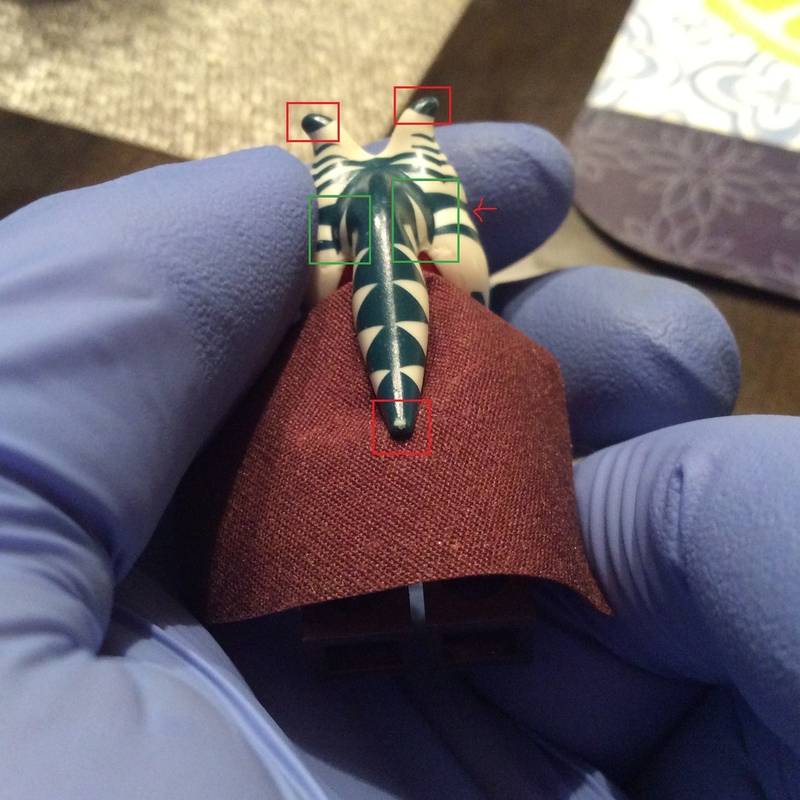 Lastly, the green squares are an area where there is a common print variation on the right side (Red arrow) where it is not level with the left side, or if it is level there is a resulting print variation that alters the level of the blue line that touches the first tooth on the headdress on the front of the part. 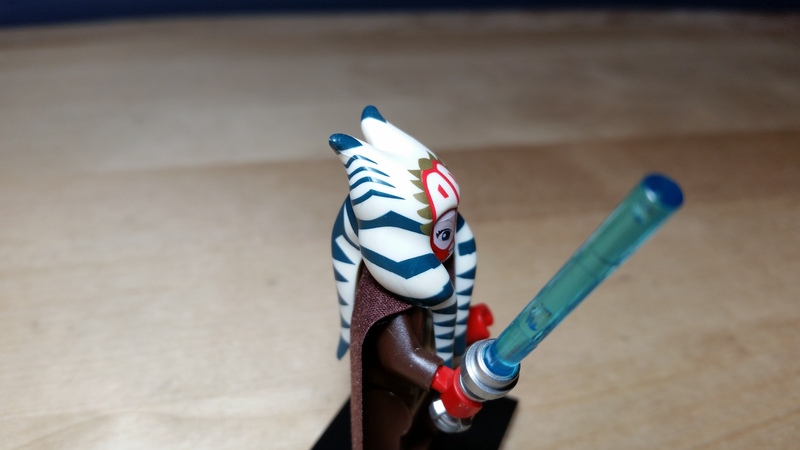 In close LEGO has greatly improved Togruta printing on this part with the latest Ashoka minifigure from the Rebels series, but I have a growing interest in collecting new condition Shaak Ti figures simply for their preservation. I really get what you mean...I ended up paying just under $16 for a good condition one that I now have packaged up very carefully in a box in a room with very low levels of light...It will be preserved!!! To be fair a lot of high-quality items are manufactured in China (Along with a lot of garbage...) I have just always associated plastic bricks of a lesser quality as having been manufactured in China. Lego has generally been a great company in terms of quality control, but with regards to this particular piece, I do not think of it as something that can withstand play to the degree you should be able to expect from LEGO. "Quality" is down to the company manufacturing the item and their standards. It has nothing to do with where they are made. Remember that these are (heavily) printed rubberised parts, still quite rare for Lego. They decide they are good enough quality for what they are and that this is still the best way to make such parts. They might be able to do a less detailed moulded modified head instead in more rigid plastic, but they choose to use the more detailed rubberised part. If they had the right equipment in a European factory, they could make the same thing there. But it would be of the same quality. I think Lego accepts that their products should be as durable as possible but compromises are made, whether it is using stickers, not printing some parts, fewer colours in print, etc. Of course, it is a toy not a collectors' brand, and played with toys are expected to get scratched or damaged, be it the print or broken hands or cracked arms. And new toys are not expected to have absolutely perfect print no matter what AFOLs want. These head dresses were definitely not bagged individually in the set though, were made in China. I remember getting the set when it was new at the time in 2011. It had the distinctive smell you get when opening a CMF. I also recently purchased for a friend, 100 of these headresses in new condition from Germany. I did find very small defects on some of them, but out of 100 (pretty good survey if I do say so myself), most of them did not have printing defects. Not many of them had even the slightest worn tips and I remember assessing each and every one.